We previously reported that Realme is all set to launch the more powerful version of Realme 3 in India on April 22, 2019. Ahead of its launch, the new Realme 3 Pro has been spotted on Geekbench and Bluetooth SIG sites, revealing some key specifications of the device. As per the listings, the new device from Realme will debut with Qualcomm's Snapdragon 710 chipset. To be pitted against Xiaomi's Redmi Note 7 Pro, the Realme handset will run Android 9 Pie based on ColorOS 6. Realme 3 Pro Smartphone India Launch Date Confirmed. The handset has been listed on Geekbench website with model number RMX1851. 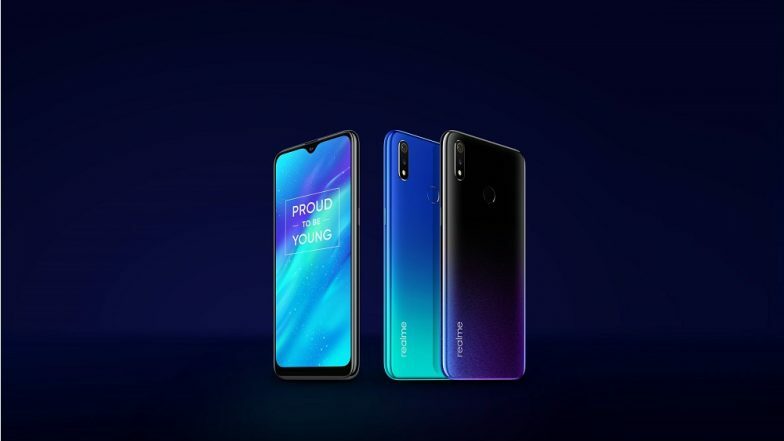 It is the same model number that was seen on Bluetooth SIG site which is believed to be Realme 3 Pro. As far as the specifications are concerned, the Realme phone will be powered by Qualcomm Snapdragon 710 chipset which will be paired with 6GB of RAM. The Bluetooth SIG listing hints that the device is expected to sport a 6.3-inch FHD display and 3960 mAh battery. The Chinese phone maker officially confirmed that it will be launching the new Realme 3 Pro phone at an event in Delhi on April 22. The upcoming phone is touted to be compatible with Fortnite. More details and specifications about the phone are likely to be revealed soon. Coming to the price point, the company would be looking to price the forthcoming Realme 3 Pro smartphone at a very competitive price point. However, the prices for the Realme 3 Pro are not yet announced. But, we speculate that it would be priced around Rs 13,999.